We are not measured simply by verdicts obtained for clients, but by the people and families that we have helped. When you have been injured in an accident, you deserve skilled legal advocates who will zealously represent you. Contact our office today to schedule a free case analysis. Lawyers have to know more than just what the law is. They have to thoroughly understand the facts in the case so they can properly apply the appropriate law to the relevant facts. For personal injury lawyers, this means understanding the medical aspects of a client’s injury in order to achieve the full amount of compensation necessary for future medical expenses, rehabilitation therapy, and other costs which may be incurred over a lifetime of living with a brain injury, spinal injury, or a birth injury which creates a permanent medical condition. At Gary Roberts & Associates, our staff includes experienced trial lawyers who are also highly-trained medical professionals, including a neurosurgeon and a registered nurse. In any case involving personal injury or medical malpractice, our West Palm Beach medical malpractice lawyers bring an additional level of knowledge and skill that is often instrumental in obtaining a maximum award for our injured clients. When you have been injured in an accident, by a medical professional, an attacker, or know someone that is suffering from substance abuse you need someone that you can turn to for help with your legal needs. The West Palm Beach personal injury & medical malpractice lawyers at Gary Roberts & Associates are skilled legal advocates who will zealously represent you through all of your legal matters. Not only are our West Palm Beach medical malpractice lawyers experienced in the law, but our staff includes trial lawyers with medical backgrounds, a board certified neurosurgeon, and a registered nurse. We are adept in both the legal and medical professions and can help ensure that you are getting the full compensation that you deserve. If you have been injured in an accident that was caused by the negligent acts of another person, you may have a claim for compensation. At Gary Roberts & Associates, our West Palm Beach personal injury lawyers are able to independently investigate all of your personal injury claims in order to establish liability and the full extent of damages for your case. In addition, our lawyers handle all of the communication and negotiation with the insurance company so that you do not accidentally take a settlement that is worth far less than what you are truly owed. Doctors, nurses, and other medical professionals are not perfect, but their mistakes can cause serious injury or even death to their patients that came to them for care. If you believe that you were harmed by one of your medical professionals, our office is here to represent your claims. With a board certified neurosurgeon, registered nurse, and other lawyers with medical expertise, Gary Roberts & Associates is in the best position to handle your medical malpractice case. …and other cases where our clients have been injured when receiving medical care. Commercial litigation refers to any matter involving businesses or consumers, and oftentimes these cases are lengthy and complex. This area of the law includes everything from contract disputes to construction matters, landlord/tenant issues, debt collection, foreclosures, and class action lawsuits. Our West Palm Beach commercial litigation lawyers have a broad range of experience in commercial litigation matters and have represented clients from the individual consumer to Fortune 500 companies. The lawyers at Gary Roberts & Associates who deal in commercial litigation matters have advanced business degrees and prior experience in business. This allows our lawyers to provide knowledgeable, personalized representation that enhances the services that we provide to our clients. We provide detailed counsel, explain your legal options, and advocate for you in court as well as with opposing counsel. Sexual assault is a serious offense that can take a tragic toll on victims physically, mentally, and emotionally. However, many people are unaware that in addition to criminal charges the victims of sexual assault can also bring a civil lawsuit against their attacker in order to compensate them in some way for the crime. In addition to the physical injuries caused by the attack, the victim can be compensated for pain and suffering, mental anguish, loss of enjoyment of life, and more. Two of the biggest concerns for sexual assault victims is that they will have to publicly tell their story in court or face their attacker; however, our lawyers are here to assure you that this is not the case. Florida law protects the victims of sexual assault from being identified and keeps the vast majority of personal information private during the proceedings. The empathetic and compassionate lawyers at Gary Roberts & Associates represent the victims of sexual assault by giving them a voice in court in addition to seeking out the justice that they deserve. Substance abuse is a tragic disease that affects millions of people across the country and in the West Palm Beach area. Florida law provides a legal means for the families of people suffering from addiction and substance abuse to get the help that they need through the court system. The Marchman Act and the Baker Act allow for the court to intervene in cases of addiction and substance abuse in order to place drug users in an involuntary hold for treatment. Our lawyers are uniquely positioned with the medical expertise necessary to represent substance abusers and their loved ones in court to navigate this process. The lawyers at Gary Roberts & Associates will work with your family every step of the way through the substance abuse court process. This includes attending court ordered assessments, evaluations, and discussing treatment options in addition to attending every hearing regarding your loved one’s care. We can provide the legal and medical expertise necessary to ensure that the ones that you know suffering through substance abuse and addiction get the help that they require. While we maintain a small firm atmosphere to provide the utmost in individual attention and personalized service to our clients, our lawyers have achieved successes on a par with the largest firms in the state. In addition to achieving multi-million dollar recoveries for our clients when appropriate, our personal injury & medical malpractice firm has twice had a statute declared unconstitutional on the issue of contributory negligence, and we helped change the law on retaliatory eviction for a commercial lease. Our clients have included judges, NFL players, and Fortune 500 companies, as well as farmers, truck drivers, school teachers and countless others from all walks of life. At Gary Roberts & Associates, our West Palm Beach personal injury & medical malpractice lawyers are here for you when you need us. We offer a free initial consultation and take personal injury cases on a contingency fee basis, which means that we do not charge a fee unless we recover for you. Spanish is spoken in the office, and if you cannot travel to our office during normal working hours, we can arrange to meet at a time and place that is convenient for you. We understand that you are going through a difficult time, and we want to use our knowledge and expertise to help you get the care and compensation you need. That’s why we are here. For legal advice and representation in West Palm Beach, call our office at 561-686-1800 or contact us online. We look forward to hearing from you and helping you with your legal needs. An AV® Preeminent™ Peer Review Rating is an outstanding achievement and demonstrates that a lawyer has earned the highest rating available for their legal ability and professional ethics. 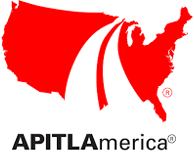 The Association of Plaintiff Interstate Trucking Lawyers of America is a national association of committed lawyers who have joined together to help eliminate unsafe and illegal interstate trucking practices.